Joyce &Ed Reiner Are Making a Difference Everday! It’s difficult to know what to be impressed with first when you meet Joyce and Ed Reiner. This warm couple is incredibly easy to talk to. As they tell their story, you realize their amazing depth of knowledge regarding the development of infants, especially infants who are in the foster care system. Then you hear the numbers. 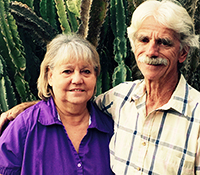 They have been foster parents for over 200 children, spanning a 28 year timeframe. Although they are both in their 60s, they still have room in their hearts to give a bit more. "I’d like to make it 30 years; two years from now, 2018," explains Joyce. The Reiners specialize in fostering infants. "I love newborns. I love when you can count their age in days. We usually get them right from the hospital. The youngest was 23 hours," said Joyce. Their philosophy and hope is to take them in as newborns and keep them until they find a permanent placement. Ed said, "The shortest we’ve had them is two days. Some stay a couple of weeks, a month or so; others for years." As seasoned foster parents they realize that the child’s extended family members may ultimately want to care for the baby, but it can get complicated. They explain that the family may not be emotionally or logistically equipped to handle a newborn. They may work during the day and are unable to quickly find quality daycare; or they may feel uncomfortable leaving a newborn in daycare. Or it may break their hearts to see a newborn, their relative, go through substance withdrawal. Unfortunately, substance withdrawal is more common than not in the infants the Reiners see. "People are afraid to adopt substance exposed babies because they hear such terrible things," Joyce said. "But the environment really has a lot to do with it. There are some miracles." Their daughter, Brittany, was one of those "miracles." She originally came to them as an infant in the foster care system. All grown up now, her adoptive father Ed boasts, "She has a doctorate of law and is a lawyer for the attorney general." Joyce’s pride in Brittany wells up, "I want other foster parents to know... this is what happens. Just love them and try to understand them." But unfortunately the nature of foster care is that children come and go. And when a child in their care as a foster family leaves, it’s tough on everyone. Joyce said, "Leaving is hard. It’s like a death. It’s heartbreaking. But no matter how much we love them and no matter how much a part of the family they are, we always have to tell ourselves, that’s not my child. That’s not my child. That’s not my child. So when they do leave, you’re prepared for it." The Reiners wish they knew what happened to the children they fostered. Joyce said, "We really try to keep in contact. They all promise. But most times we never hear." It’s clear the Reiners love being foster parents. Ed explains, "It either keeps you young or makes you old real quick. It’s all how you look at it." It’s important work and takes a big heart to do it right. Ed continues, "You come across a lot of personalities. You just need to make them proud of who they are.” Joyce added, "We love these children like they are our own." 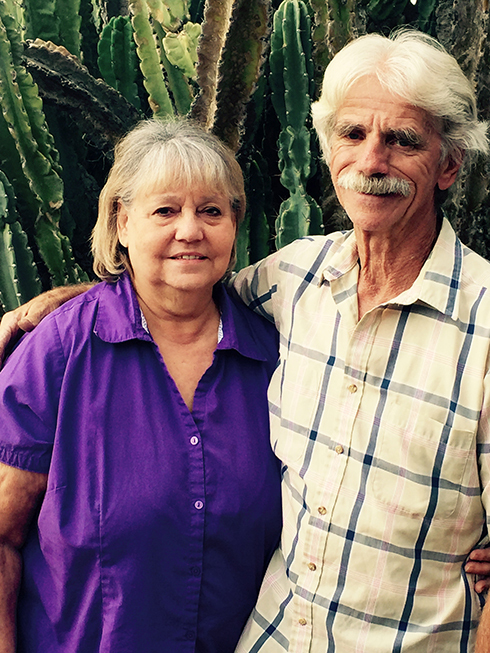 Although 200+ children might disagree, Ed and Joyce are sure, "We have gotten more out of it than we put into it."